Topper Manufacturing Ladder Racks are the ultimate cargo carriers. We have been making racks for trucks and vans for over 35 years, and we build them to last. In, fact our racks have proven to out last the vehicles they are mounted on. This is because #topperracks are constructed of high strength steel and hot dip galvanized after fabrication for a truly rust free and abrasive resistant finish. Hot dip galvanizing provides Topper racks with an unmatched protection against damage caused by rough handling at the job site as well as during their service life. 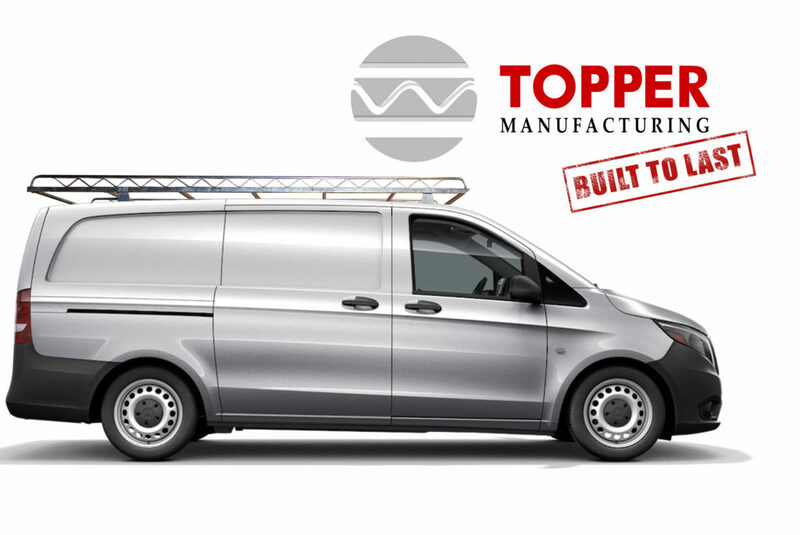 Topper ladder racks can almost double the carrying capacity of your truck or van. Make maximum use of the carrying capacity of your van or pickup while safely organizing and securing your cargo for a neat, professional look. Topper ladder racks are manufactured from high strength, hot dip galvanized steel, utilizing one-piece welded trusses to support from 500 to 750 pounds of payload. Our maintenance-free Topper ladder racks are both scratch resistant and rust proof, and designed to handle the toughest transporting jobs. For a dependable well built rack at a very competitive price, choose the rack that’s built to stay on top…….TOPPER LADDER RACKS.